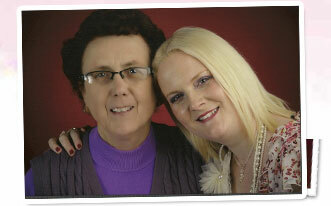 Me and my Mother Elaine, have the ability to communicate with the ‘Higher side’ of Life (Spirit). This gift came from my Grandmother and her Mother; it has been passed down through the generations. We offer people the comfort of being able to communicate with their loved ones; and we do all we can to make sure they feel the connection with their loved ones at that time and are able to take that comfort away with them to help them in their daily lives. When we are ill we might think that the cause is diet, stress, past lives or various other reasons, but rarely do we think that where we live might have something to do with it. Yet, wherever we live, wherever we go, just walking down the street for example, someone has been there before us, and left their energy, an etheric imprint. And we pick up this energy whether we are aware of it or not. This is how places become known as 'accident black spots’ because of the negative energy that has built up after a series of fatalities which no one has thought to clear away. Indeed, the people who died there may still be there, the shock of what happened to them making them unable to move on. It is not only fatal accidents that cause negative energy build up. Places where battles have taken place, especially those of the Civil War, which ranged all over the country, can cause a build up of negative energy. And if one is living in a house where the previous occupier committed suicide, was raped or murdered, the energy can also affect us and can lead not only to terrible nightmares but even to disturbing events, often known as poltergeist activity, as the spirit of the deceased person tries to make contact with the occupant of the house, in order to either understand their situation or to free them so that they can move on. Sometimes it is not justice that they want, but help to go over to the other side. And the energy need not be recent. I have visited places where there was terrible bloodshed, human sacrifice, massacres, and fires that engulfed whole towns. Did it make me ill? You bet! Negative energy can not only make us physically ill, but mentally too. Feeling suicidal, or as if we are going insane, can all point to negative energy or something going on in your home or the surrounding area. Even if your house is new, what was there before it could be the cause. We help to clear this energy with the help of Spirit and prayer. We use our gifts of healing and spiritual insight to help remove any negative blocks that can cause the home or workplace we live in to feel disturbed. We also perform what is called a ‘Spirit rescue’ to help any trapped souls move on to their rightful place in the world of spirit. Unfortunately, there are the few who due to various unknown reasons prefer to stay on the earth plane. A Rescue Medium ‘rescues’ earthbound souls who are lost and have not found their way to the light by showing them the way. They are sometimes frightened to cross to the Spirit World; for fear of retribution, which is unfortunate as it is often the churches that have put ‘the fear of God’ into them and God all loving. Some cause mischief, mayhem in homes and workplaces. In our capacity as ‘Rescue Workers’, we can help these souls to cross over into the Light and be where they should be; the spirit world is where they are meant to be; it is their truthful home. 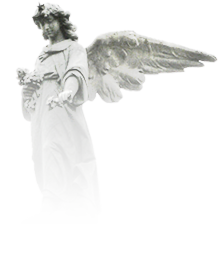 If you feel that this is your calling also to help the earthbound, then we can guide you also. Unfortunately, the world of rescue is not for everyone as it is not all faeries and sweet old grandmas but if it is your calling then you will surely be guided there. I feel we have a duty to not only help those alive on this Earth, but to also help those that are trapped on this Earth in their spiritual bodies move on and find peace in the beautiful world of spirit. Physical Mediumship includes psychokinetic phenomena such as the production of bangs and raps, the movement of objects with no seen cause. It also includes transfiguration, where the mediums face takes on the features of a spirit communicator. Spirit voices which do not come through the voice box of the medium, apports or objects which are materialized in the presence of the medium. The hardest and more powerful of this physical mediumship is called materialization. Materialization is the creation of matter from nowhere and out of nothing. The most famous example of materialization is from Christianity and is the story of the multiplication of bread and fish by Jesus to feed a hungry crowd. Usually materialization will be manifested on the form of Ectoplasm; this is a semi-fluid substance which often appears cloudy and white. The word Ectoplasm comes from the Greek meaning and literally means "exteriorized substance". Ectoplasm can be manipulated into hardened rods and Spirit can direct these rods to move large objects like tables and chairs to levitate a person. It can also be moulded into an artificial voice box or stretched out into flat like a sheet of material with which Spirit cover themselves in order to lower their vibrations and become solid. In its primary stage it is invisible and intangible but even then it can be photographed by infrared rays and weighed. In its secondary stage it becomes either vaporous or liquid or solid. In its final stages, when it can be seen and felt, it has the appearance of muslin and feels like a mass of cobwebs. At other times it is moist and cold and on rare occasions dry and hard. Its temperature is usually around 40 degrees Fahrenheit which accounts for the observation of drop of temperature around physical phenomena. I used to ask my mother how this materialization really worked and how it was possible, and she told me that there are a group of scientist in the afterlife who work with physical mediums to create communication between the dimensions. They use the energy of the medium and also the sitters (people who are watching). They use this energy to make the substance ectoplasm. They then use this ectoplasm and energy to make solid forms; they can use it to form themselves and their physical shape of when they were alive or they can use it to form objects that may have meaning to the sitters. She told me that it would need to be a dark room; so that no light would stop the ectoplasm from forming. To do this it was sometimes best to use what they used to call a 'Cabinet', this was a dark box that would stop light from getting to the medium; the Sitters would be able to see the medium from the front of this cabinet. Ectoplasm is sensitive to light so much so that even a flashing light drives the substance back into the medium with strong force and can harm the medium! The medium has to work in the dark or in infrared light; and those responsible for their safety have to use absolute care in making sure the people watching can be trusted not to move and to stay still and hold hands. My mother told me about the objects that she had been given directly from spirit. Once she told me that she was given a white rose from one of her loved ones and everyone in the room could see this white rose. Some were able to feel it for a short time. She also told me about Spirits that had formed in the room with all those watching (Sitters) and how solid they looked, and they had come back to try and communicate with a loved one in the room. I used to listen to this as a child and be amazed. I never understood fully what it was, but I was always amazed to hear what had taken place for all those people watching. My grandmother would tell me that when I grew up and was a lot older I would also be able to do this. She told me that it would take me years of training and meditation to perfect this, but with the love of spirit and their help I would be able to help many people. Since my near death experiences, this has come true and the words of my grandmother are coming to light. I was speaking to my mother about Physical Mediumship a few years ago and this is when I knew that I had the gift to start training in this. It all started with my mother explaining it once more to me since I felt spirits were guiding me down this path. I knew that the energy from spirit around me could be used for good, and be advanced even more to prove to people that there was a life after death; and that it was possible to see this with the naked eye! It is human nature that we want to see things as well as be told about them! So this is why I wanted to develop physical mediumship. My mother hadn't done this type of mediumship for a number of years, but she was willing to teach me and train me. I am a very impatient person as anyone who knows me will tell you, and so it took me a lot of tears and saying 'I give up', before I started to get results. It started one late October night in the year 2005 when I was sitting with my mother and father in the living room. We decided to meditate and see if there were any spirits that wanted to communicate with us that night. My mother told me to sit and let spirit communicate through me by using my energy and helping me go into a semi conscious state. She had trained me how to meditate and let spirit come through my energy and use it to communicate, but to do this for real was going to take time and effort. I had tried to do this on a number of occasions and felt near the point where I could let spirit come through me, but I had never been able to fully achieve this. I had been able to go into a deep trance like state and give great messages to my family and friends but I had never been able to let spirit use my space and energy enough for them to build in me or send objects through me. I sat for awhile and tried to meditate and go deeper into this spiritual state. I asked spirit to come through me and use my energy to build and try and communicate with me and my mother and father. It seemed like hours before I started to feel a total calm wash over me and I felt as if I was back in the spirit world. I could hear the voice of my mother telling me to speak and asking me who it was I had with me. I could see my grandmother with me in the Spirit world and she was hugging me. I could hear her talking to my mother and telling her to give me a gift. It only seemed like I was in this state for a short time and then I felt myself return to the room. I could see my mother crying as she tried to explain to me that I had taken on the face of my grandmother; and she had been talking to my mother, and had told her to give me a rose. They both told me that they had seen this rose as a solid object and that my grandmother’s face was solid and perfect through the face of my own. My father was also shocked and said that he also saw the face of my grandmother; he had also seen the rose and reached out to take it from a hand that wasn't my own. He said that he had also felt the rose. When he tried to take it from the hand it was then that I was brought back to my surroundings. I guess my grandmother was happy knowing that I was given this gift and she felt this was enough for me in my training until the next time. What we had all experienced was the start of my Physical Mediumship and the hard training that it had taken me was now paying off. I would be able to develop this even more now. I had experienced the feeling of it for that short time. I asked my mother how long this had lasted and she told me it was a good 30 minutes. I was amazed because it only felt like seconds to me. This again showed me that time in the spirit world had no time limits. I found that I was also able to perfect the voice of spirit coming through to me and others. This is where a Medium uses a strange object called a ‘trumpet’ for communication with spirit. This is a conical shaped object with holes at both ends. The trumpet is placed in the middle of the circle and the spirit world will use the same energy as materialization and let it float and will talk through it. This is something I have done on many occasions and it works well. We have had many of our loved ones talk to us this way and it is an amazing thing to see and hear. I have now gone on to keep training in this energy and I know that I have an ability to work with people using my physical mediumship. I have had many experiences with my family using this gift, but I now feel that it is time to use it to help others and let their loved ones come through. I feel that it has taken me time to perfect and I have had the best training in the world, that is from my mother and grandmother and also spirit themselves.